Looking for the perfect venue to host your Bristol Christmas Party? 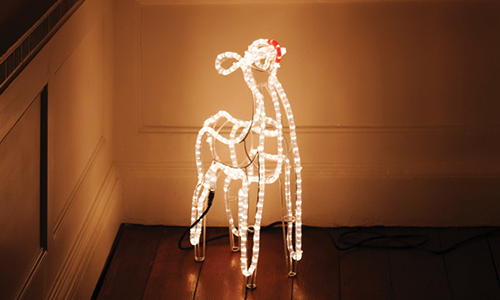 No.4 Clifton Village is the place for your Bristol Christmas! Party in style in a beautiful Georgian Mansion House, set in the heart of Clifton, one of the most elegant parts of Bristol. Your Christmas Party will be an event to remember. 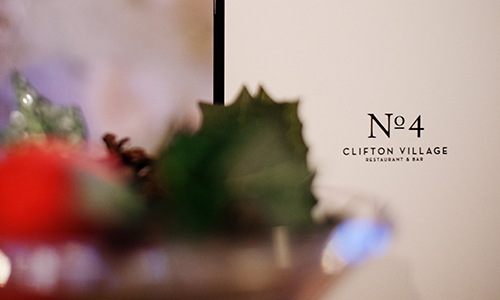 Whether it’s the work Christmas Party for everyone at the office, or a meal for a small group of friends – our award winning restaurant at No.4 will make your festive celebrations special. It might seem early to be thinking about booking your Christmas party, but its never too soon to take advantage of our early bird prices. The best dates are already being reserved at venues across the city. Make sure your Bristol Christmas Party is exactly when you want it to be. It’s best to book now. Fantastic rates are available if wish to avoid the rush by hosting your Christmas party in January. We still have some dates available in for your Christmas Party in December. Our splendid Admiral Room, with high ceilings, a classic fireplace and chandelier, creates a traditional Christmas atmosphere for 50 seated diners, or up to 80 for a buffet feast. The Galley Room caters to smaller groups. Both are available to hire for your Party in Bristol this Christmas. Our Christmas Menu is full of festive favourites with a stylish modern twist. We have plenty of options for vegans and vegetarians. Of course, we offer the traditional Christmas Turkey, Beef and Duck, but there’s also Beetroot, Thyme and Red Onion Tarte, or Sumac and Cranberry Crusted Salmon with Orange Beurre Blanc. We offer a range of drinks packages, priced per-person to keep your Christmas party as simple as possible. 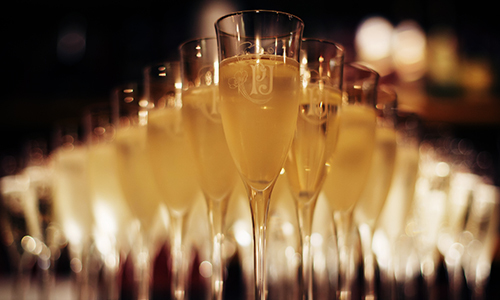 We offer a range of wines – red, white, sparkling, mulled – plus the option of bottomless Prosecco! Bristol’s best local suppliers provide our draught lagers, bitters and ciders. 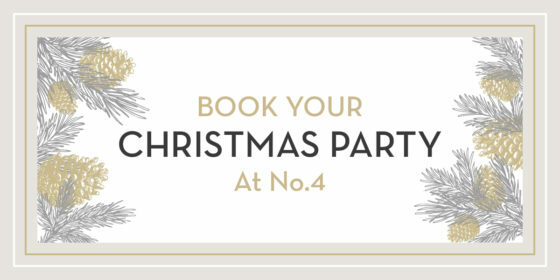 Look no further than No.4 Clifton Village for your Bristol Christmas Party this year!